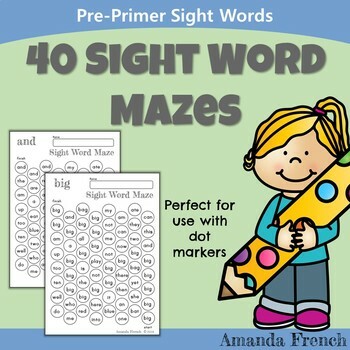 40 FUN Dolch Sight Word Mazes! 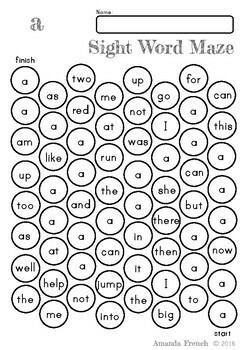 Follow the sight word to complete the maze. 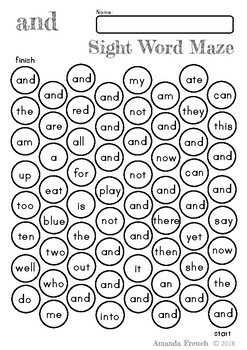 Students can use a pencil to draw a line from dot to dot, or use markers to color in the dots. Includes words: a, and, away, big, blue, can, come, down, find, for, funny, go, help, here, I, in is, it, jump, little, look, make, me, my, not, one, play, red, run, said, see, the, three, to, two, up, we, where, yellow, you.